The hydra is one of the few creatures on the planet that can literally pull itself together. 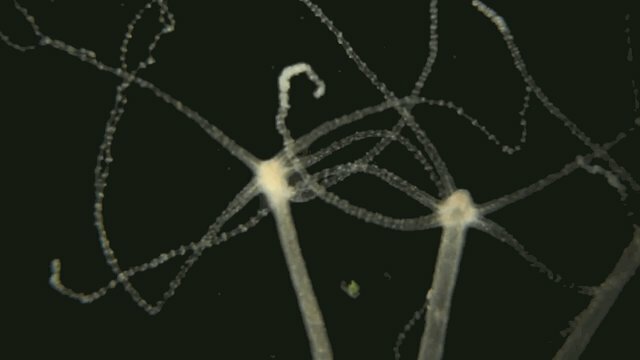 Even if a hydra is blown to bits -- by an attacking predator, for example -- its remaining cells form new bodies, complete with heads, mouths and tentacles. Slowly, the disembodied pieces will begin crawling together, rising like tiny volcanoes from the sea of shredded remains. Forms will begin to take shape. Mouths and skinny tentacles stretching out into the water, and suddenly little bodies everywhere have regrown. 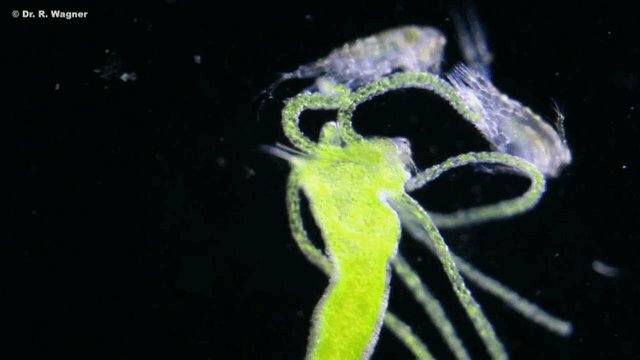 Hydras have another trick up their tentacles, too. Thanks to a gene that refreshes their stem cells, these millimeter-long animals have what Daniel Martinez, a biologist at Pomona College, calls a "lack of senesce." That's the potential for an immortal life, in other words, not unlike certain jellyfish. 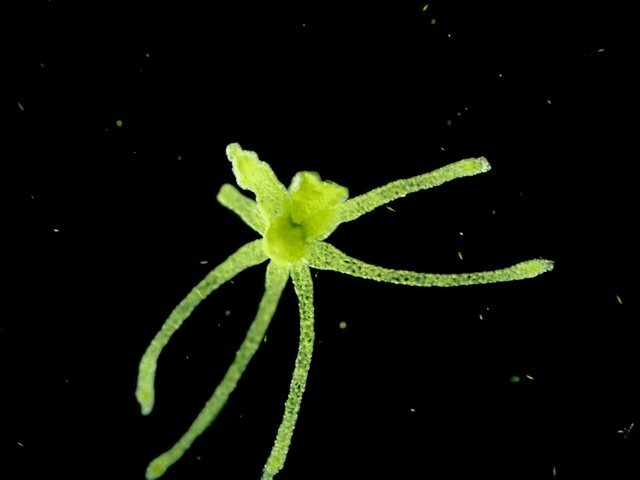 There's plenty of scientific enthusiasm for the immortality of the hydra -- the same gene that influences how hydras produce stem cells is also associated with lifespan in humans. But putting that observation into practice is a completely different story -- there's little chance we can use the hydra's cellular quirks to learn how to rebuild ourselves from scratch. In the meantime, we'll have to content ourselves with watching as these tiny water Wolverines fall to pieces and come together, all over again.